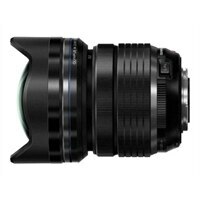 Though it is amazingly light and compact, the M.Zuiko Digital ED 7-14 mm PRO lens is a heavy hitter in the field. This lens is portable and weatherproof so you can take it anywhere. And with an ultra-wide angle of view and a bright aperture, you’ll capture more of every scene, from sprawling daytime panoramas to electric, super-sharp night scenes. The M.Zuiko 7-14 mm PRO is suited for capturing cityscapes, architecture, macro, and nightscape photography.